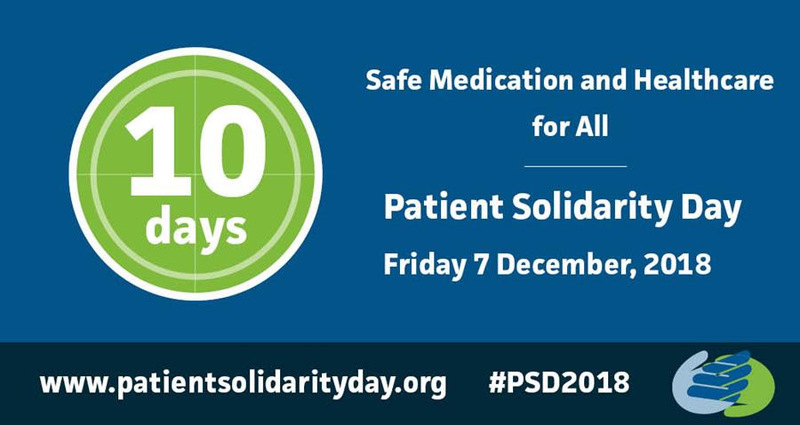 It's just ten days until we celebrate Patient Solidarity Day (PSD) 2018. Let's keep building the momentum to make sure our voice is heard on Friday 7 December. Thank you to everyone who has been planning activities, creating content and spreading the word. Let's keep pushing the messages out so that together we speak with one loud voice for 'Safe Medication and Healthcare for All'. For more information on Patient Solidarity Day, including details about this year's theme and a range of useful resources, click here. Make sure your contacts know about Patient Solidarity Day. Send them a quick message on how they can show their solidarity with patients around the world. Feel free to adapt some of these 'five ways'. Access the graphics here and social media posts here and remember to use the hashtag #PSD2018 with your posts. Become a supporter of our global goal of 'Safe Medication and Healthcare for All' by adding your name to this campaign. Submit your organisation name and logo to be displayed on the PSD2018 supporters wall. Send this to rachel@iapo.org.uk. In 100 words or less, tell us what PSD and this year's theme means to you or your organization. Send the quote and your logo to rachel@iapo.org.uk by Sunday 2nd December and we'll create a 'quotagram' for you that will be shared globally, right across our network. Keep us informed about how you will support the Day so that we can add your activity to our global list of activities and your logo on our supporters wall on our website. 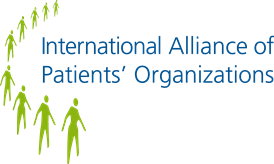 If your organization's name is not yet listed, please get in touch as soon as possible to let us know how you'll be celebrating Patient Solidarity Day. If you are still looking for inspiration, there is still time. Visit our website and use the button below to download the Patient Solidarity Day handbook where you'll find a range of ideas to help you mark the Day with us on and before Friday 7th December. We look forward to celebrating the Day with you!